A Natural Alternative has a great team of dedicated RMTs. We believe we can play an important role in helping our patient's lead healthy, active lives. We promote well-being by easing discomfort, encouraging relaxation and endorsing vitality. The RMTs at A Natural Alternative are health professionals with extensive experience and credentials. Registered Massage Therapists in Ontario are regulated health professionals requiring 2-3 years of training and over 2,200 hours to acquire certification from a recognized school. In addition, many of our RMTs have special certifications, so your custom treatment plan may include various types of massage and alternative therapies. 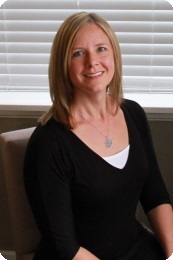 Ann has been an RMT since 1995 and has additional certification as a myofascial release instructor and practitioner. Ann also enjoys pregnancy massage and baby massage instruction. "I work on clientele of all ages and walks of life," she says, "but with three kids of my own, I have a lot of hands-on experience helping kids and providing pregnancy massage." Ann often uses her myofascial release training for postural realignment. "I find it's an effective treatment to help my clients remain active and pain free," she says. 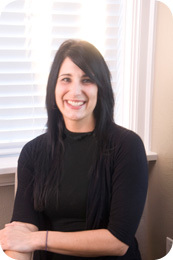 In addition to massage, Ann is the owner/operator of the clinic, a mom of three, and enjoys jogging and hiking. Kathryn has been an RMT since 1995. She has additional training in a number of techniques - particularly myofascial release - that help patients with issues relating to chronic pain, pregnancy and sports injuries. "I have competed in a number of triathlons and cycling events," says Kathryn, "so I really understand sports-related issues and enjoy working to help weekend warriors and elite athletes stay in top condition." Kathryn continues to cycle and receives additional cardio training as a mom of two. 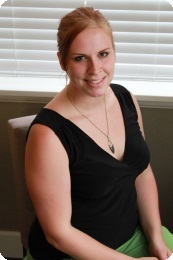 Kathryn is currently studying Osteopathy at the Canadian College of Osteopathy in Toronto. Julie earned her RMT certification in 1998. In addition, she has a Bachelor of Science from the University of Waterloo. She has taken a number of courses in various massage techniques, but prefers to practice deep tissue massage therapy. "I find deep tissue massage is a very effective way to relieve chronic pain, or muscle tension," says Julie. "I've used it to help clients with muscle tension, work or sports related injuries, and other conditions. It's a technique with widespread application, and I feel that I've helped a lot of clients improve and return to being more active by utilizing it." Julie is active outdoors as much as possible. She enjoys beach volleyball and gardening. 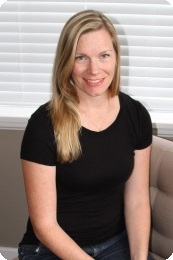 Caitlin has been a licensed Massage Therapist since 2013 and earned a diploma in Social Service Work from Conestoga. Her massage coursework placed emphasis on pathology, anatomy, physiology, and neurology leading to an extensive in-depth knowledge of the human body. Caitlin's areas of focus include pelvic health, assisting clients with developmental delays, and specialized ImPACT training for treatment of post-concussion syndrome (PCS). Caitlin has extensive experience in rehabilitation in a physiotherapy setting, as well as outreach and clinical placements in wellness programmes. "In my practice," notes Caitlin, " I emphasize mobility as essential to health. I feel that massage can be an important part of an overall health and wellness plan that maximizes any patient's enjoyment in life." In her spare time, Caitlin enjoys, canoeing, hiking and spending time with her kids. Kristin graduated from Brock University in 2008 obtaining an Honours Bachelor of Kinesiology Degree; with her passion and focus during this time being in Biomechanics and Sports Injury. Immediately following graduation, she enrolled in the Canadian College of Massage and Hydrotherapy to which she graduated as a Registered Massage Therapist in mid-2010. Through her education, she has been exposed to extensive clinical experience working with athletes and individuals with repetitive stress injuries. 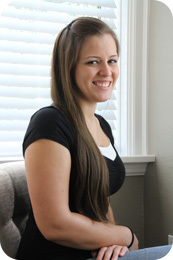 "I find great satisfaction in working with patients to strive towards a healthy and active lifestyle," says Kristin. "I concentrate on back and shoulder massage, but gain fulfilment through any treatment that can improve my client's quality of life." In her spare time, Kristin enjoys numerous outdoor activities, travelling and keeping in touch with friends.